We believe that God has ordained the preaching of His Word, prayer, and the sacraments as the means by which He sanctifies people’s lives. There is no substitute for the Scriptures if we want to know and please God, and this is especially true in our worship. Unfortunately, the church today is dethroning God and the power of His Gospel for alternatives and counterfeits. 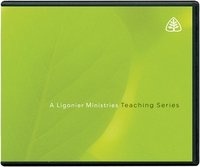 The result of using man-pleasing tactics rather than simply focusing on the preaching, reading, singing, and praying of God’s Word is that the knowledge of God’s glory is diminished, His people become spiritually malnourished, and the church becomes weak and susceptible to false teachers and their doctrines. In Ligonier Ministries’ 2008 Pastors Conference, R.C. Sproul, Sinclair Ferguson, and Steven Lawson discuss principles of biblical ministry, focusing on the need to be God-centered in our preaching, worship, prayer, education, as well as other aspects of church life.